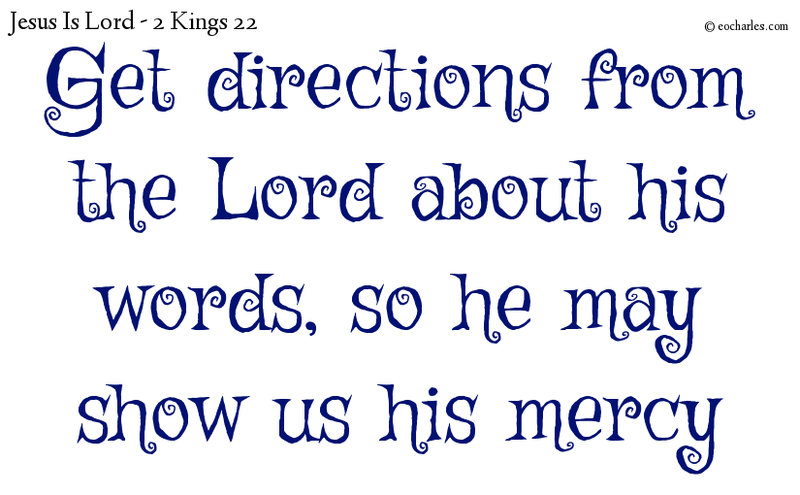 Go and get directions from the Lord for me and for the people and for all Judah, about the words of this book which has come to light; for great is the wrath of the Lord which is burning against us, because our fathers have not given ear to the words of this book, to do all the things which are recorded in it. 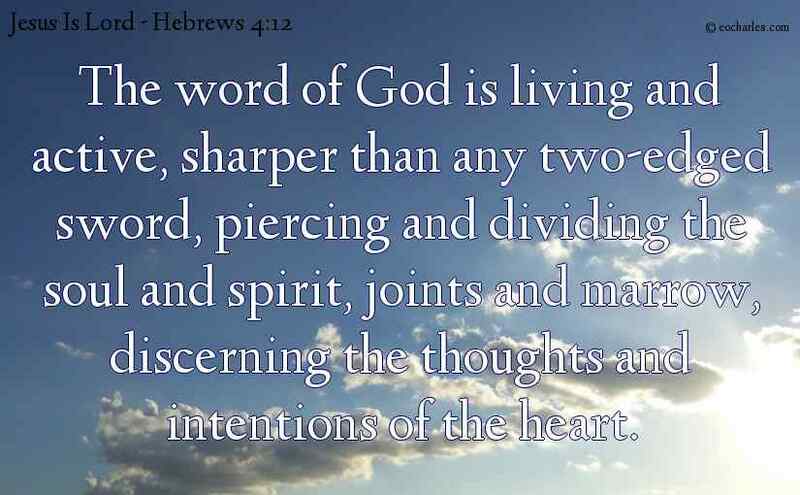 1)Heb 4:12 For the word of God is living and full of power, and is sharper than any two-edged sword, cutting through and making a division even of the soul and the spirit, the bones and the muscles, and quick to see the thoughts and purposes of the heart. Heb 4:13 And there is nothing made which is not completely clear to him; there is nothing covered, but all things are open to the eyes of him with whom we have to do. 1. ↑ Heb 4:12 For the word of God is living and full of power, and is sharper than any two-edged sword, cutting through and making a division even of the soul and the spirit, the bones and the muscles, and quick to see the thoughts and purposes of the heart. 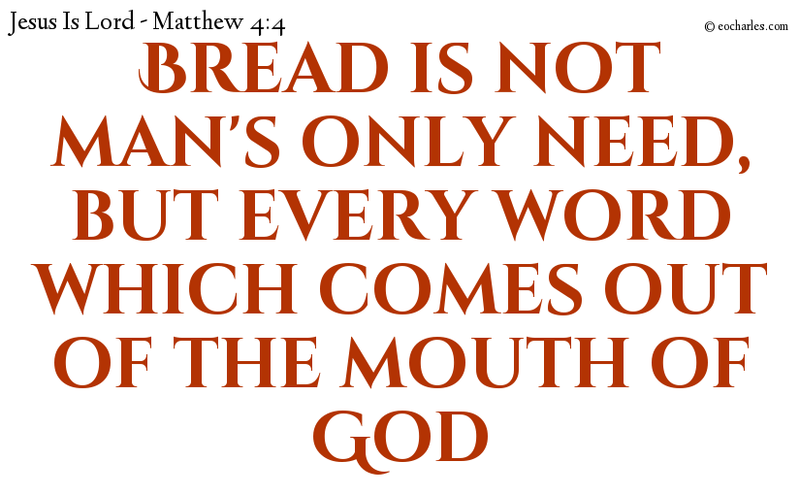 But he made answer and said, It is in the Writings, Bread is not man’s only need, but every word which comes out of the mouth of God. The enemy is overcome by worshipping God and doing the orders of God. 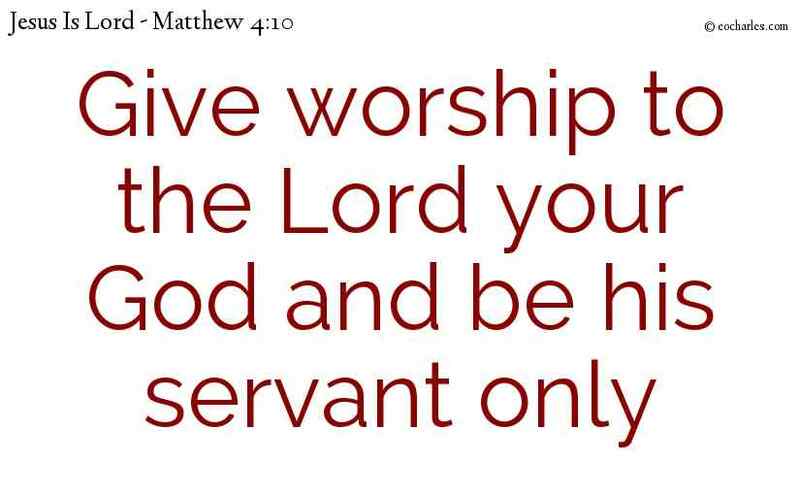 Then said Jesus to him, Away, Satan: for it is in the Writings, Give worship to the Lord your God and be his servant only. Continue reading The enemy is overcome by worshipping God and doing the orders of God. For the word of God is living and active, and sharper than any two-edged sword, piercing even to the dividing of soul and spirit, of both joints and marrow, and is able to discern the thoughts and intentions of the heart.